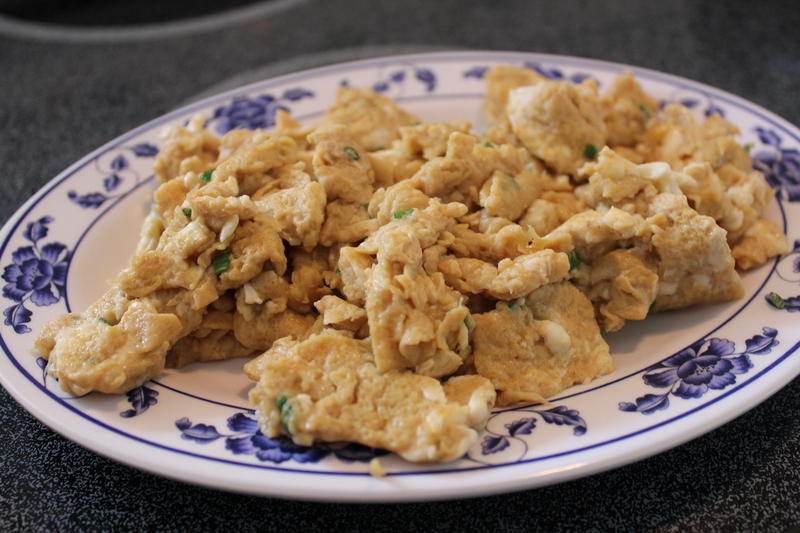 Shoyu scrambled eggs are something that I grew up eating. 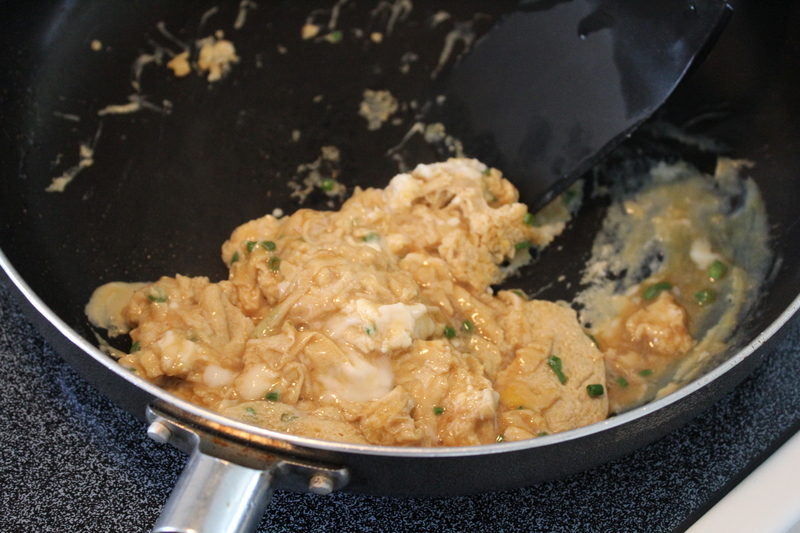 Believe it or not, up until I was around 7-8 I thought that this is what normal scrambled eggs looked like. So when I first ordered scrambled eggs at a local McDonalds I was thoroughly confused with what I got. 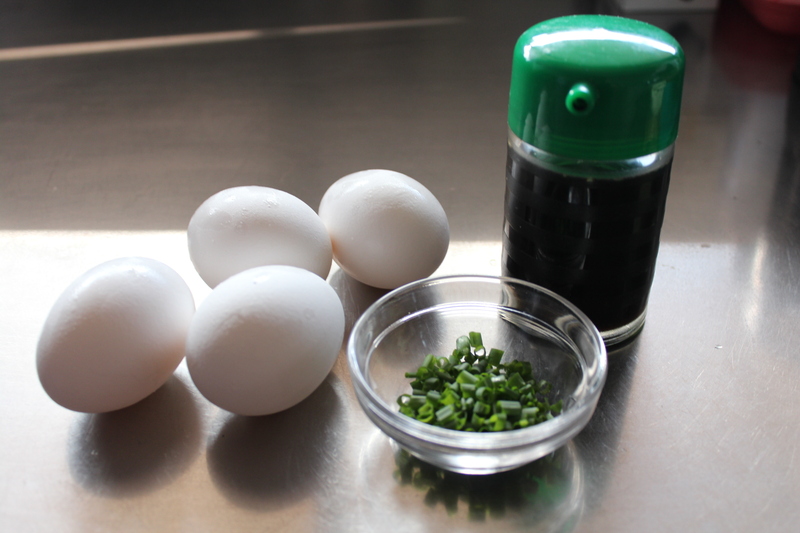 I love the flavor that the shoyu and green onions add to the eggs. Forget the ketchup, salt and pepper because these babies can be eaten alone. 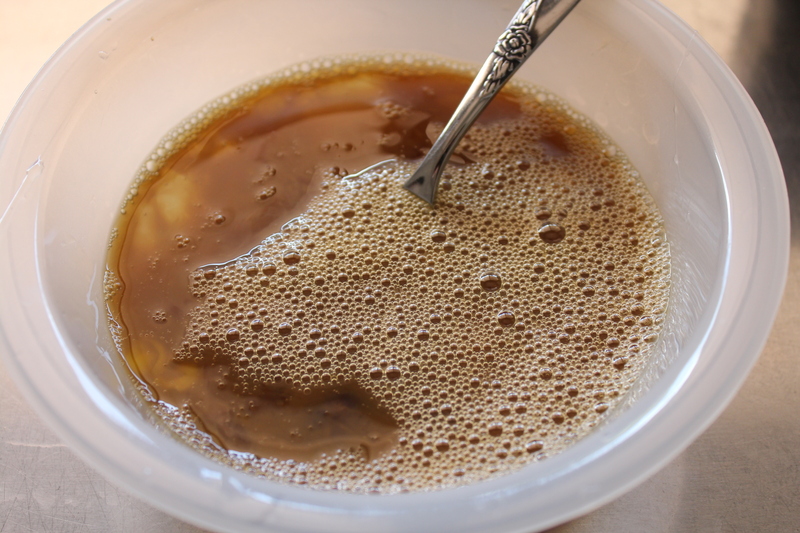 *Cookers Note: I recommend using Aloha Shoyu if you can find it. If all you can find is Kikkoman, reduce the amount to 6t (2T) because Kikkoman tends to be a little stronger. 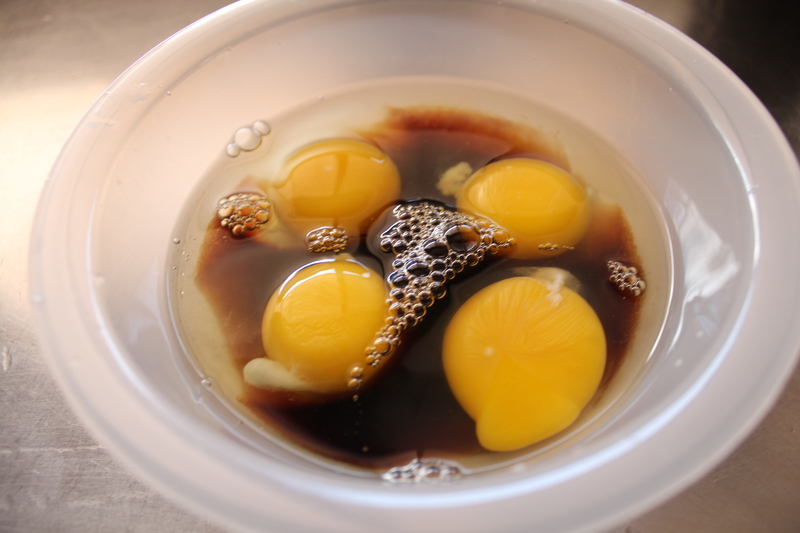 Step 2: Combine the egg and shoyu in a bowl and whisk. 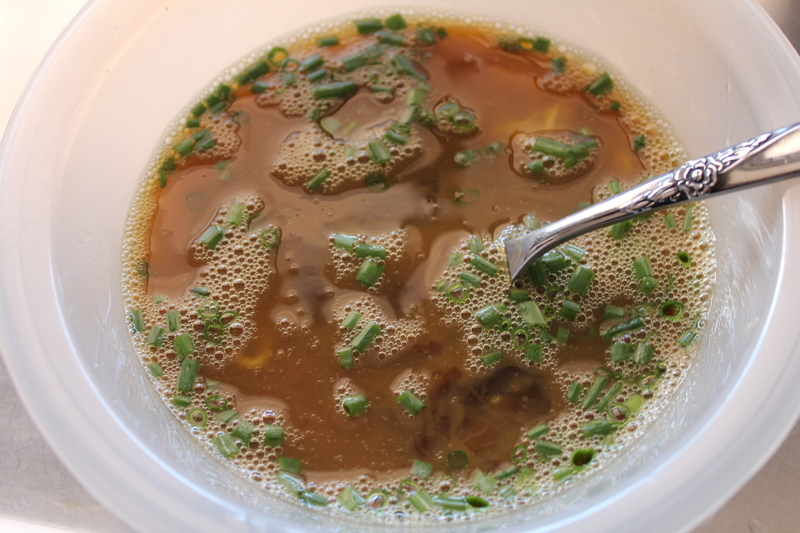 Step 3: Add in the green onions and whisk. Step 3: Once saucepan is heated, add egg mixture and cook like regular scrambled eggs, slowly mixing to make sure all of the egg is cooked. Step 4: Plate and you’re done. Super simple and fast. Enjoy! My mother is Japanese and she used to make eggs like this. When I would go to other people’s houses as a kid, I always thought their scrambled eggs tasted wrong! Lol! Haha me too! The first time I got eggs for breakfast at McDonalds I was confused why they looked so yellow and tasted weird. 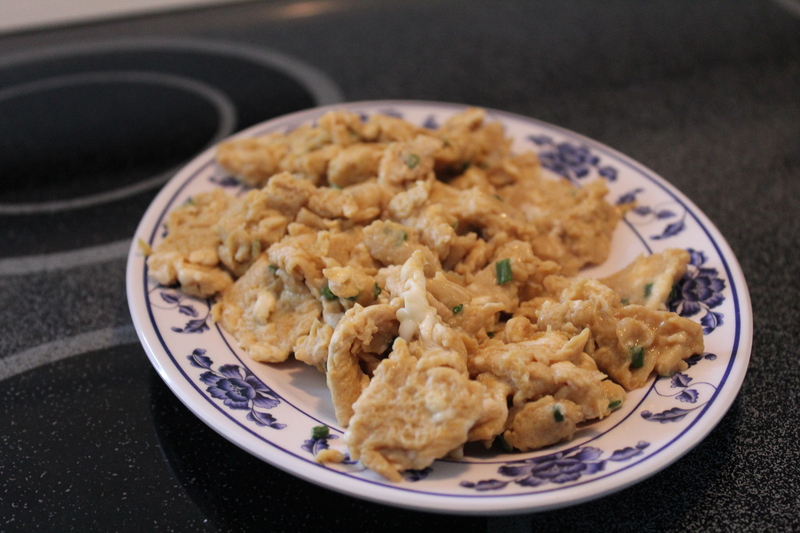 Pingback: Soy Sauce and Green Onion Scrambled Eggs | bowl of delicious!